Toujours invaincu, Goeido préserve ses chances de remporter le tout premier titre de sa carrière. 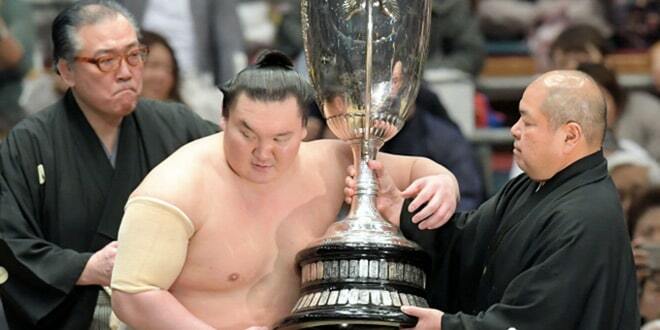 Goeido voit son premier titre à sa portée en restant le seul lutteur invaincu du tournoi après sa victoire sur le yokozuna Kakuryu. 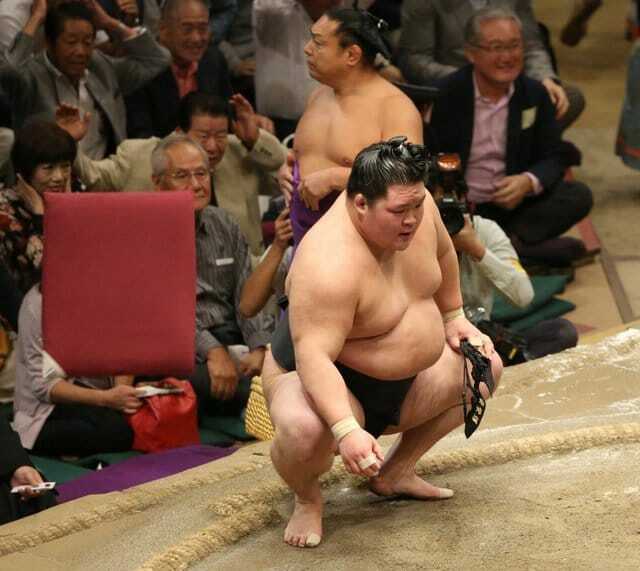 Le yokozuna Harumafuji, le sekiwake Takayasu et le maegashira Endo restent derrière le leader avec deux défaites. L’ôzeki Kisenosato et le maegashira 6 Tamawashi occupent la troisième place du classement avec un score de 9-3. Dans le dernier combat de la journée, Goeido a enduré les coups et les bousculades de Kakuryu avant de réussir à pousser le yokozuna hors de l’anneau. 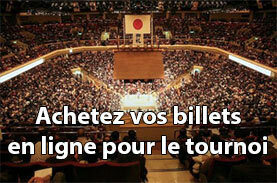 Goeido a obtenu sa douzième victoire sur les 36 rencontres passées avec Kakuryu. Demain, l’ôzeki affrontera Harumafuji dans un match clé. Harumafuji a obtenu une prise ferme à l’aide de sa main gauche sur le mawashi de Kotoshogiku et a projeté vigoureusement l’ôzeki à terre. Le yokozuna s’empare de sa 10e victoire, tandis que Kotoshogiku doit encore remporter un match pour être à l’abri d’une rétrogradation. Dans les combats précédents, Endo s’est imposé face à Mitakeumi pour conserver sa seconde place tout comme Takayasu qui a sorti avec force Yoshikaze. 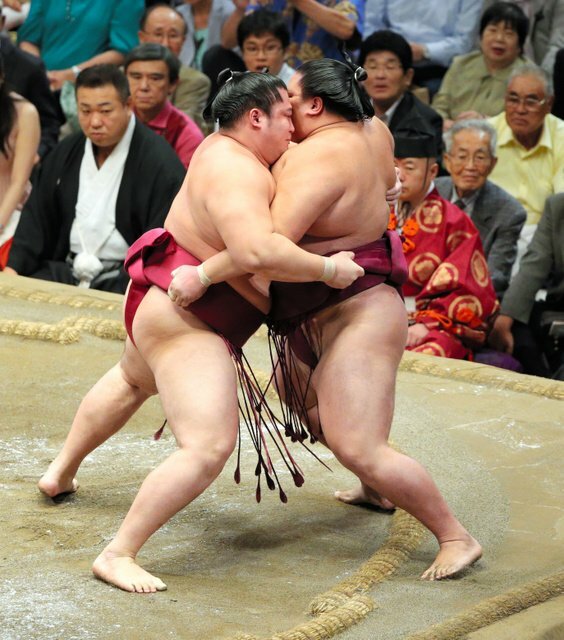 Kisenosato, pour qui les chances de remporter un premier titre sont quasi nulles, a arraché sa victoire contre le komusubi Kaisei. Tamawashi a remporté son neuvième combat par tsukidashi contre le maegashira 8 Kotoyuki. Avec sa huitième défaite survenue contre Aoiyama, l’ôzeki Terunofuji sera au prochain tournoi de nouveau kadoban. Le maegashira 2 Shodai pour qui le make koshi n’est plus qu’à une défaite, continue d’aligner les victoires en s’imposant face à Takanoiwa. En juryo, la défaite de Daiki permet à Onosho et à Kotoeko de revenir à égalité pour se disputer la première place du classement. Le phénomène médiatique Ura s’est incliné face à Sato. Pour la première fois de sa jeune carrière, Ura est make koshi. 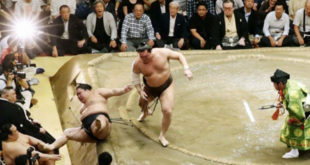 Goeido came within reach of his first-ever championship as the ozeki remained without a loss 12 days into the Autumn Grand Sumo Tournament after defeating lackluster yokozuna Kakuryu on Thursday. Yokozuna Harumafuji, sekiwake Takayasu and rank-and-file grappler Endo are two wins behind with three days to go in the 15-day tourney, while ozeki Kisenosato and No. 6 maegashira Tamawashi both have 9-3 records. In the day’s final bout, Goeido, who began the meet at Tokyo’s Ryogoku Kokugikan needing a winning record to avoid demotion, endured shoves and slaps from Kakuryu (8-4) and finally pushed the Mongolian grand champion off the edge. Goeido notched his 12th win over Kakuryu in their 36th career meeting. 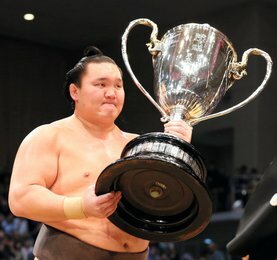 Harumafuji (10-2), seeking back-to-back titles after winning the Nagoya tourney in July, got a firm left-hand grip on Kotoshogiku’s mawashi and made a full turn in the middle of the dohyo before swinging the ozeki off the raised ring with a shitatenage underarm throw. The Mongolian yokozuna picked up his 10th win, while Kotoshogiku (7-5), who needs another win to keep his rank, fell to his third straight loss. In earlier bouts, Endo (10-2) maintained poise as the 14th-ranked maegashira edged out No. 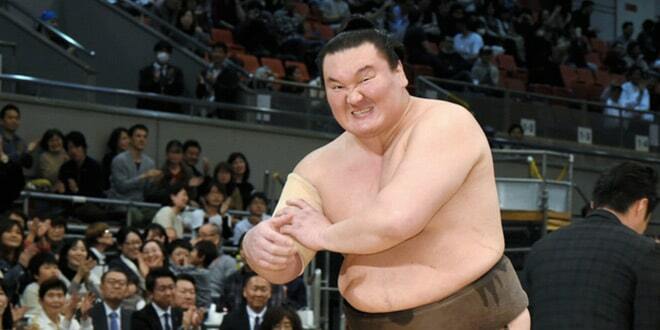 5 maegashira Mitakeumi (8-4), while Takayasu (10-2) forcefully pushed out top maegashira Yoshikaze (4-8). Kisenosato kept his ever-slim hopes of reaching the highest rank of yokozuna alive as he crushed out komusubi Kaisei (4-8) for a 9-3 record while posting his 10th win against the Brazilian wrestler in as many faceoffs. 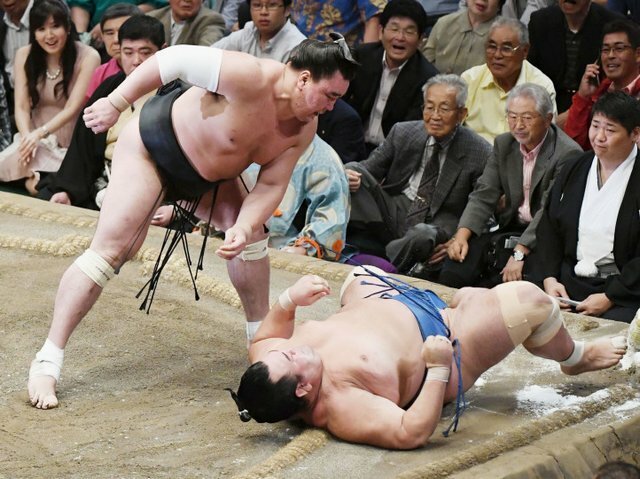 Tamawashi (9-3) looked as though he thought nothing of Kotoyuki’s thrusts and threw the No. 8 maegashira off the ring to his fourth loss. 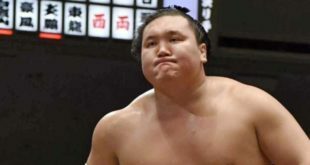 Mongolian ozeki Terunofuji (4-8) will face the possibility of a demotion following the next tourney as he now has a losing record after falling to No. 5 maegashira Aoiyama (7-5) to see his sixth consecutive loss.